hey cool, a pico-8 write up on tig source, and links to Benjamin Soulé games! 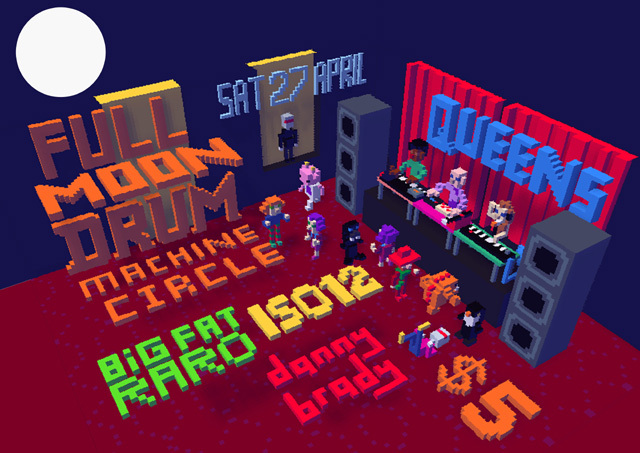 my mind just exploded when voxatron came up in the firefox google logo and i just played it. WOW, its like the wembly stadium of pixels. omg cool. hi zep an other voxatronians! heres the problem. D started a community level pass down you mighta noticed. chaosking2 made a song for their room using milkytracker (cool tune). then when i tried to save my room it crashed so i made my room seperately but now Kling couldnt save it to the community pass down either. I noticed the song adds alot of dots to the PNG/data box at the base of the picture so guessed it might be the song thats the problem/issue. either that or OS incompatibility? If you can figure out how to get my room onto the community pass down level thatd be awes. Or if its the song maybe it could be removed then added at the end as a workaround. UPDATE: im so stoopid. It is the songs making it crash and i didnt notice that kibcob also had made an epic glitch chip tune track. so i tried saving the level to a new name after deleting the tracks and it DIDNT crash. so alas it is the theme tunes f**ing with the save. :/ goodluck hope its an easy fix. lol wtf did they un join? Im glad so many interesting levels and ideas have been floated and the 3d voxie box looks awesome, its only a matter of time till this stuff gets completed. And i think the world will take notice. My advice to any builders or ideas people, stick at it and be VERY patient. I have still posted not a single level because im super picky and my idea for a level needs certain things like custom bullets. I have completed a level but it has the same character which has NEVER featured and im amazed no one made one with that character yet. thanks all and keep the evoxlution and ideas going! merry xmas from paraparaumu new zealand!!! hey zep thought it would be cool to give deshn a legit liscenced version of voxatron seeing as hes doing such cool levels and contributing. so if you think deshn deserves a chance then vote! heres what zep said about it. Hey deshn, I appreciate the contribution you've made to the fledgling Voxatron community, and I'd be glad to give you a copy. However, it is a little unfair on other users who have financially supported the project. So, here's how we'll do it. Everyone in favour of gifting deshn a legit license, say aye! whaaaaaa, what is this ? ...interesting stuff. 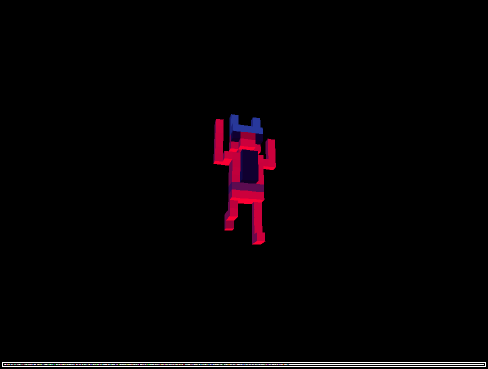 Its kinda voxatron inverted seems a little clumsy, but give em time to perfect it. The other projects are cool too! Lots of interface ideas. an earlier poster a little more simple and slightly gothic. 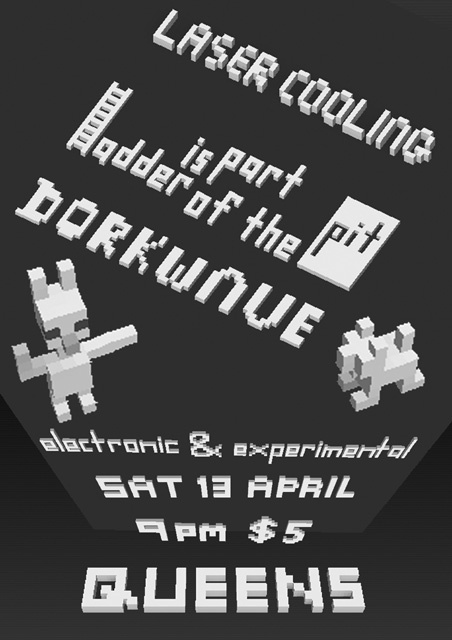 heres a wee poster i made for a local electronic dance/club nite thats starting here in dunedin! so damn cute! i even chucked a few monsters in there. Its a rough replica of the new bar QUEENS. 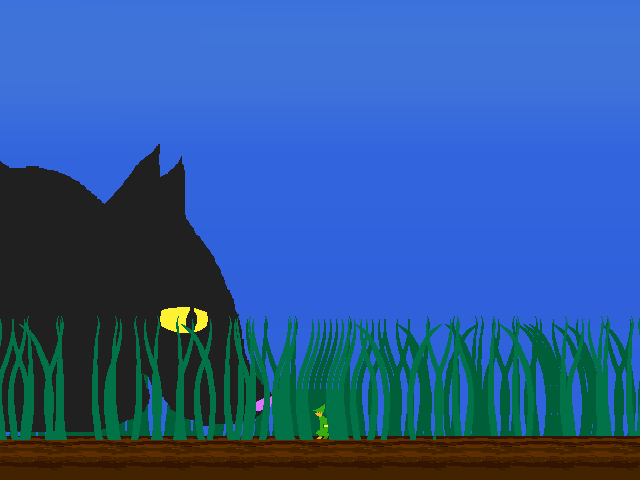 These are some screen shots from a game im making about a elf who gets shrunk and has to venture through a garden populated by various bugs and creatures to try and regain his size. 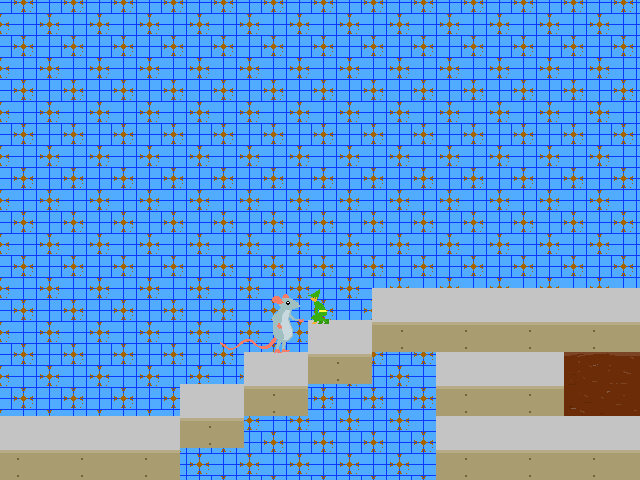 This game is being made with the help of jumps and functor. hi zep, ive been happily trying the new animation and monster settings, totally awesome, thought i best mention a few bugs ive encountered. I will add any more as they crop up. Sorry if already a known issue.... ive dont even know how to do a proper bug report. When using select tool if i select a whole object with a big sweeping motion ( i mean a circle ) when the edges of the dotted line touch it often crashes. (only when its generally a quick tidy circle motion. 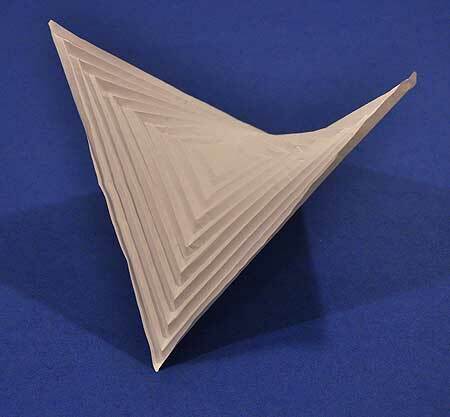 But if i draw an angle around the object and dont connect the dotted part it selects fine and doesnt crash. No idea why? The reset camera function doesnt seem to be working within animations but works fine if its a prop. hi zep, i was wondering if you had considered porting voxatron or your other games to android as this cool new console (OUYA) is coming out. You probably already heard of it of course, biggest kickstarter response ever! Its based on the shareware model, the first level or levels are free then you can choose whether or not to get the whole game. Im hoping to put some games on it one day via Gamemakers android porting capabilities. also just curious what anyone thinks of the OUYA as a way to play pc/mac games with a nintendo/playstation type controller. Personally im really excited if it works out. p.s. it already has (kinda) dual stick so would fit your controls. merry xmas! probably no need to mention this but this allen 123 some crazy french wedding dress spambot. lol. Silly spambot! those are so cute, a stampede of elephants would be sweet in voxatron if the leg was as big as a minotaur. Voxatron man could run up the nose and leap on top to avoid getting trampled. I can hear jumps downstairs mixing the blueness album... late nite snacks in the none kitchen. hows tokyo? Ohaiyo zep - i had a funny thing happen when i died with five or so aliens firing the death rings at me. they kept firing but because i was dead (maybe) the rings became very slowed down and looked like little swarms of bees. It is a great looking effect and i wondered if you will have a particle system for non-active particles, to make smoke, mist or swarms of bees/butterflys that dont need to interact. or just bounce away when touched. 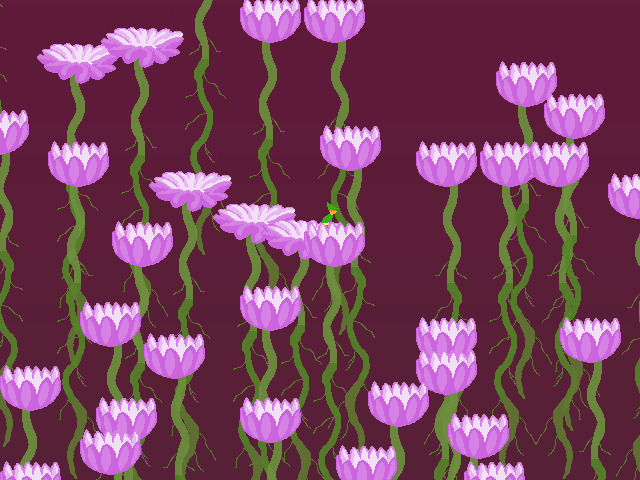 anyway i couldnt think of any cool extra things to add except for simple two frame animations. for example to make a object with a flashing light or a step that lit up when you stepped on it. anyway none of this is that important just a few thoughts! I assume that when the monster editor appears it will have a framework similar to the fox demo/character build set. Ive been animating voxamations using the (fox demo) foot frames as a sequence and doing test shots for the future. Its super fun you just draw your frame by frame voxamation into the foot/leg frames and then when you walk around it plays through the sequence. This should give those of you who are hanging out for the chance to make your own voximations something to do in the mean time. plus you will be able to copy paste later assuming things dont change drastically. 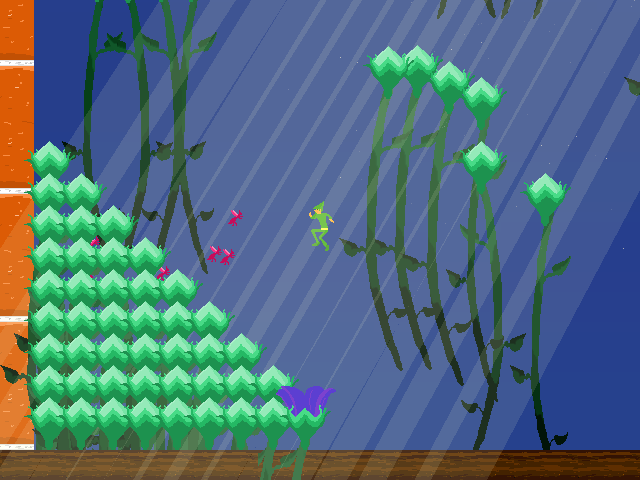 HEY VOXATRON LOVERS... did you try any of the other lexaloffle games yet? I really admire the quality control endorsed by the lexaloffle company. Its my inspiration! I recommend checking out the free games (Alien Artifact is great!) and jaspers journeys, swarm racer 3000 and cat cat watermelon. Just incase your brain was exploding with all the voxel madness then 2d Pixels are like a nice cosy book by the fire. Glad lexaloffle is finally getting the recognition it deserves! Three cheers for ZEP !